The newest film from director Eran Riklis (Lemon Tree, The Syrian Bride) swept all of the major categories at the 2010 Israel Film Academy Awards and was thus selected as Israel’s entry for Best Foreign Language Film at the 2011 American Academy Awards. Accomplished Hollywood bit player Mark Ivanir stars as the film’s title character, a no-nonsense H.R. Manager for a large Jerusalem-based bakery who is tasked with the delivery of a former female employee’s corpse to her home in Romania. A cast of oddball characters with names like “The Weasel”, “The Widow”, and “The Boy” soon join him on his calamitous journey across the bleak landscape of gloomy Romania. 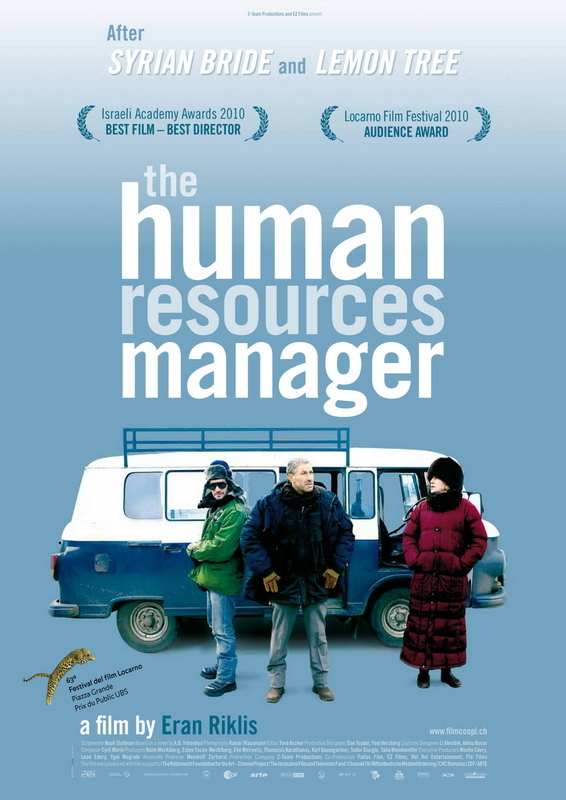 The film deals with themes of cultural sensitivity and national responsibility, but at its heart The Human Resources Manager is a dry comedy in the vein of an Aki Kaurismaki film complete with an inspirational yet subtle climax. A joy of a film; highly recommended. The Philadelphia-area premiere of The Human Resources Manager will be held on Sunday (3/27) at 7:00 PM at the International House as part of the Israeli Film Festival of Philadelphia. And as a bonus treat there will be a dessert reception for the entire audience following the film. See you there! The Human Resources Manager will then receive its Philly-area theatrical run starting on FRIDAY April 15 at the Ritz at the Bourse. This film seems to be everywhere these days and rightfully so, it’s one of the best I’ve seen this year.